Among the cases seeking to bring to justice Nazi war criminals and those who abetted their criminality, that of Ivan Demjanjuk was far and away the most protracted, and perhaps the most confounding as well. From 1976, up to his death in 2012, a few months short of his 92nd birthday, Demjanjuk was the subject of investigations and legal proceedings, including two lengthy trials, involving his wartime activities after becoming a Nazi prisoner of war. Born in the Ukraine in 1920, Demjanjuk was conscripted into the Red Army in 1941, injured in battle, and taken prisoner by the Nazis in 1942. After the war, he immigrated to the United States, where he settled in Cleveland and worked in a Ford automobile plant, changing his name to John and becoming a US citizen in 1958. Demjanjuk’s unexceptional and unobjectionable American immigrant life was disrupted in 1976 when several survivors of the infamous Treblinka prison camp in Eastern Poland identified him as Ivan the Terrible, a notoriously brutal Ukrainian prison guard at Treblinka. In a trial in Jerusalem that began in 1987, an Israeli court found that Demjanjuk was in fact Treblinka’s Ivan and sentenced him to death. But the trial, which began as the most significant Israeli prosecution of a Nazi war criminal since that of Adolph Eichmann in 1961, finished as one of modern history’s most notorious cases of misidentification. In 1993, the Israeli Supreme Court found, based on newly discovered evidence, that Demjanjuk had not been at Treblinka. Rather, the new evidence established that Demjanjuk had served at four other Nazi camps, including 5½ months in 1943 as a prison guard at Sobibor, a camp in Poland, at a time when nearly 30,000 Jews were killed. In 2009, Demjanjuk went on trial in Munich for crimes committed at Sobibor. The Munich trial court found Demjanjuk guilty in 2011. With an appeal of the trial court’s verdict pending, Demjanjuk died ten months later, in 2012. The driving force behind both trials was the Office of Special Investigations (“OSI”), a unit within the Criminal Division of the United States Department of Justice. OSI initiated denaturalization and deportation proceedings (“D & D”) against naturalized Americans suspected of Nazi atrocities, usually on the basis of having provided misleading or incomplete information for entry into the United States (denaturalization and deportation are separate procedures in the United States, before different tribunals and with different legal standards; because no legislation criminalized Nazi atrocities committed during World War II, the ex post facto clause of the U.S. Constitution was considered a bar to post-war prosecutions of such acts in the United States). OSI had just come into existence when it initiated the D & D proceedings against Demjanjuk in 1981 that led to his trial in Israel, and its institutional inexperience contributed to the Israeli court’s misidentification of Demjanjuk as Ivan the Terrible. Twenty years later, in 2001, OSI initiated a second round of D & D proceedings against Demjanjuk for crimes committed at Sobibor. By this time, OSI had added a handful of professional historians to its staff of lawyers (during my career at the US Department of Justice, I had the opportunity to work with several OSI lawyers and historians). In his thought-provoking work, The Right Wrong Man: John Demjanjuk and the Last Great Nazi War Crimes Trial, Lawrence Douglas, a professor of Law, Jurisprudence and Social Thought at Amherst College, aims to sort out and make sense of Demjanjuk’s 35-year legal odyssey, United States-Israel-United States-Germany. Douglas argues that the expertise of OSI historians was the key to the successful 2011 verdict in Munich, and that the Munich proceedings marked a critical transformation within the German legal system. Although 21st century Germany was otherwise a model of responsible atonement for the still unfathomable crimes committed in the Nazi era, its hidebound legal system had up to that point amassed what Douglas terms a “pitifully thin record” (p.11) in bringing Nazi perpetrators to the bar of justice. But through a “trial by history,” in which the evidence came from “dusty archives rather than the lived memory of survivors” (p.194), the Munich proceedings demonstrated that German courts could self-correct and learn from past missteps. The trial in Munich comprises roughly the second half of Douglas’ book. Douglas traveled to Munich to observe the proceedings, and he provides interesting and valuable sketches of the judges, prosecutors and defense attorneys, along with detail about how German criminal law and procedure adapted to meet the challenges in Demjanjuk’s case. The man on trial in Munich was a minor cog in the wheel of the Nazi war machine, in many ways the polar opposite of Eichmann. No evidence presented in Munich tied Demjanjuk to specific killings during his service at Sobibor. No evidence demonstrated that Demjanjuk, unlike Ivan the Terrible at Treblinka, had engaged in cruel acts during his Sobibor service. There was not even any evidence that Demjanjuk was a Nazi sympathizer. 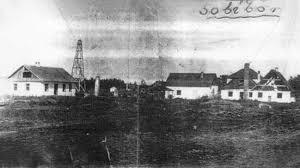 Yet, based on historical evidence, the Munich court concluded that Demjanjuk had served as an accessory to murder at Sobibor. The camp’s only purpose was extermination of its population, and its guards contributed to that that purpose. As Douglas emphatically asserts, all Sobibor guards necessarily served as accessories to murder because “that was their job” (p.220). Created in 1979, OSI “represented a critical step toward mastering the legal problems posed by the Nazi next door” (p.10; a reference to Eric Lichtblau’s incisive The Nazi Next Door, reviewed here in October 2015). But OSI commenced proceedings to denaturalize Demjanjuk before it was sufficiently equipped to handle the task. In 1993, after Demjanjuk’s acquittal in Jerusalem as Ivan the Terrible, the United States Court of Appeals for the Sixth Circuit severely reproached OSI for its handling of the proceedings that led to Demjanjuk’s extradition to Israel. The court found that OSI had withheld exculpatory identification evidence, with one judge suggesting that in seeking to extradite Demjanjuk OSI had succumbed to pressure from Jewish advocacy groups . The Sixth Circuit’s ruling was several years in the future when Demjanjuk’s trial began in Jerusalem in February 1987, more than a quarter of a century after completion of the Eichmann trial (the Jerusalem proceeding against Eichmann was the subject of Deborah Lipstatadt’s engrossing analysis, The Eichmann Trial, reviewed here in October 2013). The Holocaust survivors who testified at the Eichmann trial had had little or no direct dealing with the defendant. Their purpose was didactic: providing a comprehensive narrative history of the Holocaust from the survivors’ perspective. The Treblinka survivors who testified at Demjanjuk’s trial a quarter century later older had a more conventional purpose: identification of a perpetrator of criminal acts. Five witnesses, including four Treblinka survivors and a guard at the camp, identified Demjanjuk as Ivan the Terrible. Eliahu Rosenberg, who had previously testified at the Eichmann trial, provided a moment of high drama when he approached Demjanjuk, asked him to remove his glasses, looked him in the eyes and declared in Yiddish, the language of the lost communities in Poland, “This is Ivan. I say unhesitatingly and without the slightest doubt. This is Ivan from the [Treblinka] gas chambers. . . I saw his eyes. I saw those murderous eyes” (p.51). The Israeli court also allowed the Treblinka survivors to describe their encounters with Ivan the Terrible as part of a “larger narrative of surviving Treblinka and the Holocaust” (p.81). The court seemed influenced by the legacy of the Eichmann trial; it acted, Douglas emphasizes, “as if the freedom to tell their story was owed to the survivors” (p.81-82). The case against Demjanjuk also rested upon an identification card issued at Trawniki, an SS facility in Poland which prepared specially recruited Soviet POWs to work as accessories, where they provided the SS with “crucial assistance in the extermination of Poland’s Jews, including serving as death camp guards” (p.52). The card contained a photo that unmistakably was of the youthful Demjanjuk (this photo adorns the book’s cover), and accurately reported his date of birth, birthplace, father’s name and identifying features. Trawniki ID 1393 listed Demjanjuk’s service at Sobibor, but not Treblinka. That, Israeli prosecutors explained, was because Sobibor had been his initial assignment at the time of issuance of card. Demjanjuk’s defense was that that he had not served at Treblinka, but his testimony was so riddled with holes and contradictions that the three experienced judges of the court – the fact finders in the proceeding; there was no jury – accepted in full the survivors’ testimony and sentenced Demjanjuk to death in 1988. The death sentence triggered an automatic appeal to the five-judge Israeli Supreme Court (Eichmann was the only other defendant ever sentenced to death by an Israeli court). The appellate hearing did not take place until 1990, and benefitted from a trove of documents released by the Soviet Union during its period of glasnost (openness) prior to its collapse in 1991. The Soviet documents contained a “rather complete” (p.94) picture of Demjanjuk’s wartime service, confirming his work as a camp guard at Sobibor and showing that he had also served at three other camps, Okzawm, Majdanek and Flossenberg, but with no mention of service at Treblinka. Moreover, the Soviet documentation pointed inescapably to another man, Ivan Marchenko, as Treblinka’s Ivan the Terrible. In 1993, six years after the Jerusalem trial had begun, the Israeli Supreme Court issued a 400-page opinion in which it vacated the conviction. Although the court could have remanded the case for consideration of Demjanjuk’s service at other camps, it pointedly refused to do so. Restarting proceedings “does not seem to us reasonable” (p.110), the court concluded. OSI, however, took a different view. Although Demjanjuk’s US citizenship was restored in 1998, OSI determined that neither his advancing age – he was then nearly 80 – nor his partial exoneration in Jerusalem after protracted proceedings was sufficient to allow him to escape being called to account for his service at Sobibor. Notwithstanding the rebuke from the federal court of appeals for its handling of the initial D & D proceedings, OSI in 2001 instituted another round of proceedings against Demjanjuk, 20 years after the first round. Everyone at OSI, Douglas writes, “recognized the hazards in seeking to denaturalize Demjanjuk a second time. The Demjanjuk disaster continued to cast a long shadow over the unit, marring its otherwise impressive record of success” (p.126). By this time, however, OSI had assembled a team of professional historians who had “redefined our historical understanding of the SS’s process of recruiting and training the auxiliaries who crucially assisted in genocide” (p.126). The work of the OSI historians proved pivotal in the second round of D & D proceedings, which terminated in 2008 with a ruling that Demjanjuk be removed from the United States; and pivotal in persuading a reluctant Germany to request that Demjanjuk be extradited to stand trial in Munich. The German criminal justice system at the time of Demjanjuk’s extradition was inherently cautious and rule bound — perhaps the epitome of what a normal legal system should be in normal times and very close to what the victorious Allies would have hoped for in 1945 as they set out to gradually transfer criminal justice authority to the vanquished country. But, as Douglas shows, that system prior to the Demjanjuk trial was poorly equipped to deal with the enormity of the Nazi crimes committed in the name of the German state. Numerous German legal conceptions constituted obstacles to successful prosecutions of former Nazis and their accomplices. After Germany regained its sovereignty after World War II and became responsible for its own criminal justice system, it “tenaciously insisted that Nazi atrocities be treated as ordinary crimes, requiring no special courts, procedures, or law to bring their perpetrators to justice” (p.20). Service in a Nazi camp, by itself, did not constitute a crime under German law. A guard could be tried as an accessory to murder, but only if his acts could be linked to specific killings. There was also the issue of the voluntariness of one’s service in a Nazi camp. The German doctrine of “putative necessity” allowed a defendant to show that he entertained a reasonable belief that he had no choice but to engage in criminal acts. In the Munich trial, the prosecution’s case turned “less on specific evidence of what John Demjanjuk did than on historical evidence about what people in Demjanjuk’s position must have done” (p.218) at Sobibor which, like Treblinka, had been a pure exterminaton facility whose only function was to kill its prison population. With Demjanjuk’s service at Sobibor established beyond dispute, but without evidence that he had “killed with his own hand” (p.218), the prosecution in Munich presented a “full narrative history of how the camp and its guards functioned . . . [through a] comprehensive historical study of Sobibor and its Trawniki-trained guards” (p.219). Historical research developed by OSI historians and presented to the Munich court demonstrated that Trawniki guards “categorically ceased to be POWs once they entered Trawniki” (p.226). They were paid and received regular days off, paid home leave and medical care. They were issued firearms and were provided uniforms. The historical evidence thus demonstrated that the difference between the death-camp inmates and the Trawnikis who guarded them was “stark and unequivocal” (p.226). Far from being “glorified prisoners,” Trawniki-trained guards were “vital and valued assistants in genocide” (p.228). The historical evidence further showed that all guards at Sobibor were “generalists.” They rotated among different functions, such as guarding the camp’s perimeter and managing a “well-rehearsed process of extermination.” All “facilitated the camp’s function: the mass killings of Jews” (p.220). Historical evidence further demolished the “putative necessity” defense, in which the defendant entertained a reasonable belief that he would face the direst consequences if he did not participate in the camp’s activities. An “extraordinary research effort was dedicated to exploring the question of duress, and the results were astonishing: historians failed to uncover so much as a single instance in which a German officer or NCO faced ‘dire punishment’ for opting out of genocide” (p.223). The historical evidence thus provided the foundation for the Munich court to find Demjanjuk guilty as an accessory to murder. He was sentenced to five years imprisonment but released to a Bavarian nursing home pending appeal. Ten months later, on March 17, 2012, he died. Because his appeal was never heard, his lawyer was able to argue that his conviction had no legal effect and that Demjanjuk had died an innocent man. Without the painstaking archival work and interpretative labors of the OSI’s historians, the court could never have confidently reached its two crucial findings: that in working as a Trawniki at Sobibor, Demjanjuk had necessarily served as an accessory to murder; and that in choosing to remain in service when others chose not to, he acted voluntarily. This “trial by history” enabled the court to master the prosecutorial problem posed by the auxiliary to genocide who operates invisibly in an exterminatory apparatus (p.255-56). In the aftermath of Demjanjuk’s conviction, German prosecutors considered charging as many as 30 still living camp guards. One, Oskar Gröning, a former SS guard at Auschwitz, was convicted in 2015, in Lüneburg, near Hamburg. Gröning admitted in open court that it was “beyond question that I am morally complicit. . . This moral guilt I acknowledge here, before the victims, with regret and humility” (p.258). 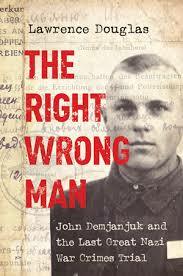 Gröning’s trial “would never have been possible without Demjanjuk’s conviction” (p.258), Douglas indicates. Camp guards such Demjanjuk and Gröning were convicted “not because they committed wanton murders, but because they worked in factories of death” (p.260). Thirty years elapsed between Demjanjuk’s initial D & D proceedings in the United States in 1981 and the trial court’s verdict in Munich in 2011. Douglas acknowledges that the decision to seek to denaturalize Demjanjuk a second time and try him in Munich after the spectacularly botched trial in Jerusalem could be seen as prosecutorial overreach. But despite these misgivings, Douglas strongly supports the Munich verdict: “not because I believe it was vital to punish Demjanjuk, but because the German court delivered a remarkable and just decision, one which few observers would have predicted from Germany’s long legal struggle with the legacy of Nazi genocide” (p.15). Notwithstanding all the conceptual obstacles created by a legal system that treated the Holocaust as an “ordinary crime,” German courts in Demjanjuk’s case “managed to comprehend the Holocaust as a crime of atrocity” (p.260). Demjanjuk’s conviction therefore serves as a reminder, Douglas concludes, that the Holocaust was “not accomplished through the acts of Nazi statesmen, SS henchmen, or vicious sociopaths alone. It was [also] made possible by the thousands of lowly foot soldiers of genocide. Through John Demjanjuk, they were at last brought to account” (p.257).